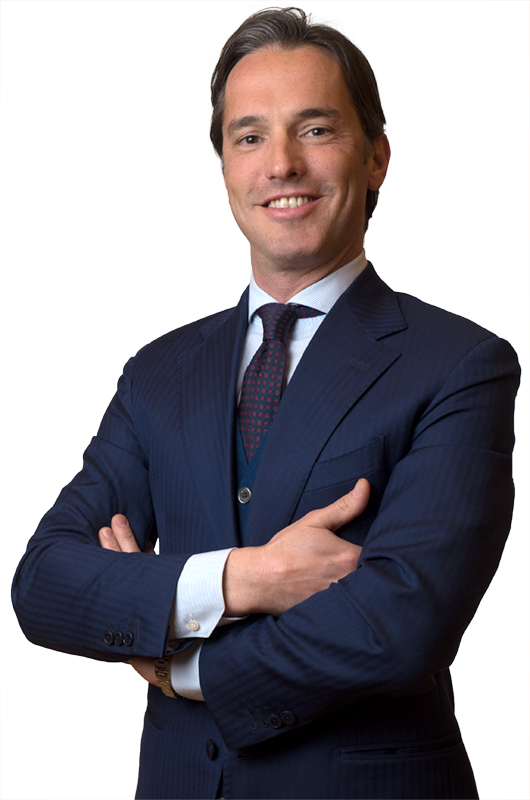 Claudio Corba Colombo started his professional career at the Milan office of the Firm in 2001. He became partner in 2011, after several experiences in the foreign offices of the firm (Bruxelles and Moscow). The main areas of activity of Claudio are corporate and commercial law. He is specialized in M&A transactions, including distressed M&A, with particular reference to domestic and international acquisitions, joint ventures and group reorganizations. He also handles compliance and forensic audit matters. In the above areas, Claudio acquired specific competence in cross-border transactions related to Russia and other CIS countries, where he assists Italian clients doing business in the region. He further advises on a continuous basis leading international groups in the Travel & Technology, Transport, Shipping & Logistic and Construction (building engineering/designs) sectors, and has a particular involvement with German clients of the firm in view of his operative knowledge of the language. Claudio is regularly mentioned on Legal500 in the Corporate and M&A practice. De Berti Jacchia ha assistito Liberty Motors nell’acquisizione del noto marchio di abbigliamento motociclistico sportivo SPYKE. Nei giorni scorsi si è perfezionata la compravendita della partecipazione di Klopman International Srl, leader mondiale nel settore della produzione di materiali tessili industriali. Azelis, a leading global speciality chemicals distributor, announces today that it has successfully completed the acquisition of 100% of Ametech, company headquartered in Milan and with subsidiaries in France and Spain. Lo Studio legale De Berti Jacchia Franchini Forlani annuncia la nomina a Partner del Senior Associate Claudio Corba Colombo. Lo studio legale NCTM ha assistito il Gruppo Airwell nello scorporo mediante conferimento del ramo aziendale condotto a Barlassina da Airwell Italia s.r.l. per la produzione e la commercializzazione di impianti di condizionamento per uso commerciale, nonché nella successiva vendita della società conferitaria di detto ramo aziendale alla svedese Systemair AB, leader mondiale nella produzione e commercializzazione di prodotti per la ventilazione e diffusione d'aria, assistita dallo studio legale De Berti Jacchia Franchini Forlani. Il Gruppo Alcea, assistito dallo studio De Berti Jacchia Franchini Forlani, e SIMEST S.p.A. hanno sottoscritto oggi a Roma un accordo attraverso cui SIMEST acquisirà una partecipazione pari ad un terzo del capitale della società russa OOO Picsar Coatings, la joint venture produttiva che il Gruppo Alcea ha costituito in Russia con partner locali. DE BERTI JACCHIA CON STENA METALL NELL'ACQUISIZIONE DI S.I.R.A. Assisted a Dutch Holding Company, controlled by yacht owners and key managers of the target, in the acquisition of a leading South African company active in the yacht manufacturing industry. The client was assisted during all the steps of the transaction (including, drafting and negotiation of sale and purchase agreement and other contractual instruments, signing/closing). Assisted a German Company in the lease of the business unit of an Italian company active in the boat charter industry and related services in the Laguna of Venice. The client was assisted during all the steps of the transaction (structuring of the transaction and incorporation of Italian vehicle, due diligence, drafting and negotiation of business lease agreement and other contractual instruments, signing/closing). Assisted a leading German Group, active in the industrial measurement devices industry, in the investment in a major Italian company, with subsidiaries in China and USA, active in the same industry. The client was assisted during all the steps of the transaction (due diligence, drafting and negotiation of investment agreement, shareholders’ agreement, escrow agreement and other contractual instruments, signing/closing). Assisted an Austrian worldwide leading Group, active in the production and commercialization of tools for processing ceramics and natural stones, in the acquisition of an Italian company active in the same industry. The client was assisted during all the steps of the transaction (due diligence, drafting and negotiation of sale and purchase agreement and other contractual instruments, signing/closing). Assisting a leading Polish Group, active in the production and commercialization of motorcycles and equipment, in the acquisition of a major motorcycle sport clothing trademark, for years sponsor of main top bikers of the MotoGP circuit. The client was assisted during all the steps of the acquisition (due diligence, drafting and negotiation of purchase agreement and other contractual instruments, signing/closing). Assisted an Italian Group, active in the digital document management systems industry, in the acquisition of an Italian company active in the same industry. The client was assisted during all the steps of the transaction (due diligence, drafting and negotiation of sale and purchase agreement and other contractual instruments, etc.). Assisted a worldwide Chinese Group, active in the shipping industry, in the reorganization process of its Italian subsidiaries, active in the shipping agency services and maritime transport services. The reorganization process involved, inter alia, merger transactions and transfer/contribution in kind of businesses. The Chinese Group was assisted in studying and identifying the most efficient structure of the reorganization process under the corporate and contractual perspectives. Assisted a leading Polish Group, active in the transport and logistic industry, in the investment in a major Italian company, active in the same industry. The client was assisted during all the steps of the transaction (due diligence, drafting and negotiation of investment agreement and other contractual instruments, signing/closing). Assisted a foreign worldwide leading Group active in the distribution of chemical products, owned by a private equity fund, in the acquisition of a major Italian company, with subsidiaries in France and Spain, active in the distribution of agrochemical products. The client was assisted during all the steps of the transaction (due diligence, drafting and negotiation of sale and purchase agreement and other contractual instruments, signing/closing). Assisted a major Chinese Group active in the production and commercialization of machine tools, in the investment in an Italian company, active in the same industry. The client was assisted during all the steps of the transaction (due diligence, drafting and negotiation of investment agreement and other contractual instruments, signing/closing). Assisted a US company, listed in the USA, in the acquisition of the business unit of an Italian company active in the food sector (production of ice cream and cold desserts). The client was assisted during all the steps of the transaction (due diligence, drafting and negotiation of sale and purchase agreement and other contractual instruments, signing/closing). Assisted a leading French ventilation company in the acquisition of two Italian companies active in the same sector. The client was assisted during all the steps of the transaction, from the due diligence phase until closing. Assisted a Swedish multinational group, active in the electronic waste processing and disposal industry, in its growth strategy in the Italian market through the acquisition of several Italian companies active in the collection, transportation and treatment of waste electrical and electronic equipment. The client was assisted during all the steps of the transaction, from the due diligence phase until closing. Assisting the Swedish Group in the reorganization of the Italian subsidiaries through mergers. Assisted an Italian Group, active in the shipping agency services and maritime transport services, in the acquisition of an Italian company under liquidation, active in the same industry, in the framework of a pre-insolvency procedure (concordato preventivo) of the Italian target and a bankruptcy procedure of the South-Korean seller. The client was assisted during all the steps of the transaction (drafting of letter of intent, drafting and negotiation of sale and purchase agreement and other contractual instruments). Assisted an Italian company, active in the engineering and technical consultancy industry, in the sale of a business unit to an Italian company, active in the same industry, in the framework of a pre-insolvency procedure (concordato preventivo). The client was assisted during all the steps of the transaction (drafting of letter of intent, drafting and negotiation of sale and purchase agreement and other contractual instruments). Assisted a Chinese major Group active in the machine tools industry in the lease and subsequent acquisition of a business unit of an Italian company active in the same industry in the framework of a pre-insolvency procedure (concordato preventivo). The client was assisted during all the steps of the procedure, from the lease of the business, to the presentation of the proposal to the creditors, its Court approval and the acquisition. Assisted an Italian subsidiary of a foreign major Group active in the water treatment industry in the lease and subsequent acquisition of a business unit of an Italian company active in the same industry in the framework of an insolvency procedure. The client was assisted during all the steps of the procedure, from the lease of the business to the acquisition. Assisted a leading Italian company active in the non-woven abrasive industry in the lease and subsequent acquisition of a business unit of an Italian company active in the same industry in the framework of a pre-insolvency procedure (concordato preventivo). The client was assisted during all the steps of the procedure, from the lease of the business, to the presentation of the proposal to the creditors, its court approval and the acquisition. Assisted a major Italian retail chain (eyewear business) in the acquisition of a chain consisting of 25 shops which went through a debt restructuring in the framework of an insolvency procedure. The client was assisted during all the steps of the procedure, from the lease of the business, to the presentation of the proposal to the creditors, its Court approval and the acquisition. Assisted a foreign bank, major privileged creditor of a multinational group active in the automotive industry having a subsidiary in Italy (the shares of which were pledged to the bank so that, in practice, the bank was managing the indebted company). Assisting the client in the preparation, presentation and approval of the concordato preventivo procedure, and in the negotiations concerning the sale of the company. Assisted an Italian company, active in the agricultural machine and engine sector, in relation to a Joint Venture deal with a Russian partner and the start-up of the manufacturing activity locally. Assisted an Italian company active in the fashion industry in negotiating and drafting joint venture and commercial agreements with Russian partners in relation to the opening of stores in Russia and the sale of its products locally. Assisted an Italian multinational group active in the industrial paint sector in the incorporation of a company in Russia, negotiating and drafting joint venture and commercial agreements with local partners in relation to the building of a paint manufacturing facility in Russia and the sale of its products in Russia and the other CIS Countries. The Client was assisted in a similar transaction in Brazil. Assisted an Italian group active in the railway industry in negotiating and drafting joint venture and commercial agreements with Russian partners in relation to the building of a railway in Russia. AMBROSIO A. – CORBA C.C.